Simple and practical, the tan SureFire M600DF Scout Light Dual-Fuel LED Weapon Light provides the tactical professional with a single-output illumination tool that can run on two kinds of battery – the two included 123As or one rechargeable 18650. An integrated Picatinny/Weaver mount that clamps to a rail using a knurled thumbscrew makes attachment to an AR-style forend both quick and easy. A factory-focused Total Internal Reflection (TIR) lens optimizes the light's throw and produces a bright, 1500-lumen beam (when using an 18650 battery) suited to both close- and long-range applications. This configuration of the Scout Light is operated by a push-button switch on a tailcap that's shrouded to help prevent accidental activation. Press for momentary light, click for constant-on. 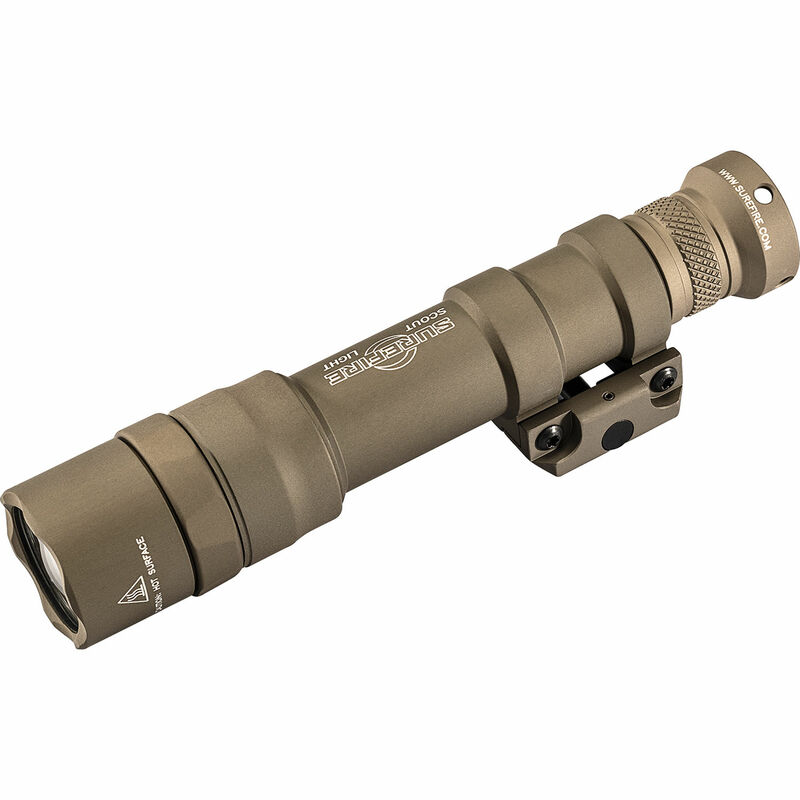 The Scout Light's lightweight aluminum housing is anodized with a hard coat for abrasion and corrosion resistance, and gasket-sealed for weatherproof performance – making this tactical accessory ready for just about any battlefield condition. Box Dimensions (LxWxH) 10.2 x 4.8 x 3.1"